Close to the Williamsburg waterfront and the East River Ferry, this crowd-pleasing dining spot achieves the perfect balance of Italian flavors and Brooklyn cool. 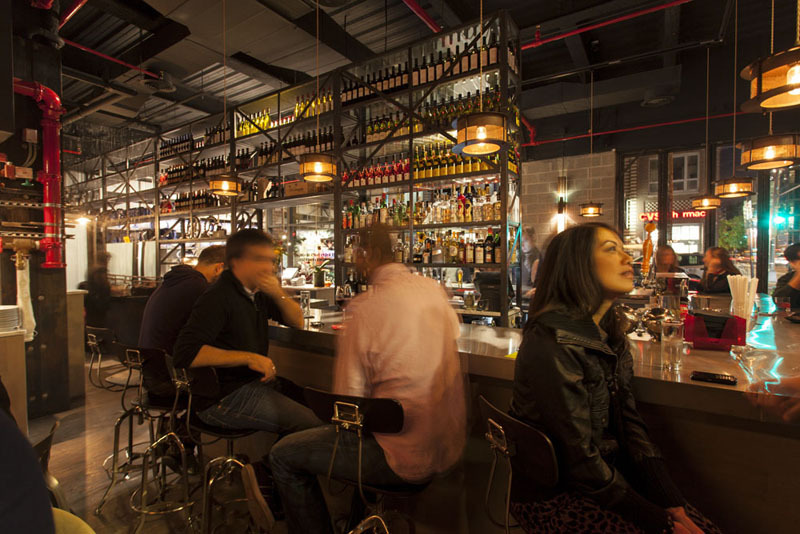 Fabbrica, Italian for factory, pays tribute to the neighborhood’s history of manufacturing. The theme is carried through in the industrial decor (utility-chic lighting and exposed pipe-work) and in the bold, collage-style mural depicting machine parts and local factory buildings. On the menu you’ll find contemporary Italian dishes featuring quality meats, fresh pasta, and wood-fired pizzas. This place easily makes it onto the best Williamsburg restaurants list, despite its reasonable prices. Dinner entrees average $20. Take a seat at the bar, and join an attractive crowd of locals and European tourists for an aperitivo happy hour every weekday from 4 pm–8pm. 40 N. 6th Street, at Kent Avenue, Williamsburg, Brooklyn; 718-218-7045; L subway to Bedford Ave., or East River Ferry to North Williamsburg; Website: http://www.fabbricanyc.com.